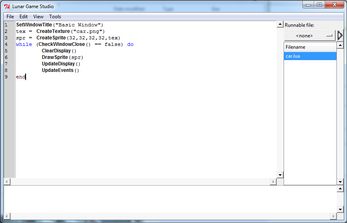 Lunar Game Studio is a two dimensional game engine that uses Lua. The engine is designed to be easy enough for first time programmers to write games, but powerful and fast enough to still be of interest to professional developers. 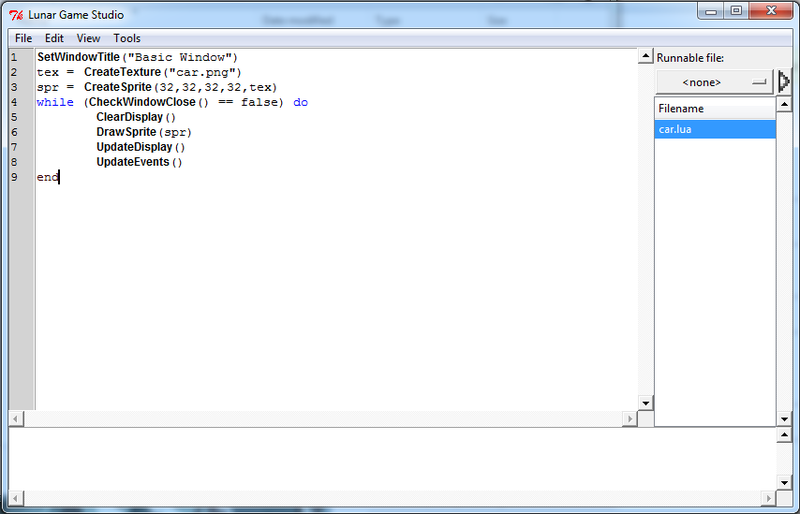 Included, you get an editor alongside the engine itself to make development easy. The engine is still in very early development, and at the current moment, it is only good for testing and preview. When we see a stable release, copies of the engine will cost somewhere between twenty five to forty dollars. Use of the engine, after legal purchase, will ask no royalties of the developers using it. *The current downloadable version will not run after March 31, 2018. You must either wait for, or download the latest version from this page. You must have an internet connection to run this software.